Tax season begins on January 28. 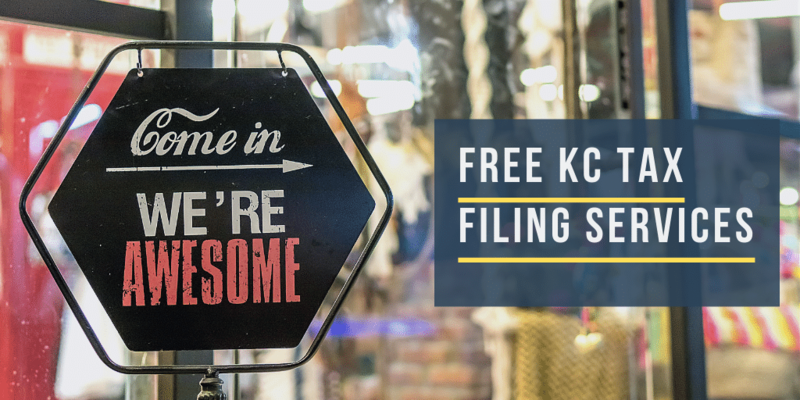 If you are worried about the fees associated with filing, you may qualify for free filing services in Kansas City or the surrounding areas. There are also online options to consider. Some of these services allow you to work on your taxes with the assistance of qualified professionals. This blog will discuss possible options for free tax filing services in Kansas City and elsewhere. Once tax season begins, look for multiple in-person Volunteer Income Tax Assistance (VITA) programs in the Kansas City area. Kansas City normally hosts multiple VITA programs, and you can locate them by using the IRS website. Select your ZIP code and put in the number of miles you are willing to travel for free assistance. You could also consider free filing options with the AARP. The AARP operates tax services at certain Kansas City Library locations. Keep in mind, not everyone qualifies for free tax filing services. Don’t forget to check with the organization you choose so you don’t waste time. It would be a shame to prepare your paperwork, make your way to a location, and then be turned away when you arrive. The choice to file in person or online is yours to make. If you feel confident that your financial affairs are simple (you’re a single college student with no children, for example), online is a safer option than if you are self-employed or have more complicated financial circumstances. This is why some individuals may benefit by having a qualified tax professional help with their taxes. For instance, if you need assistance on a prior year’s tax return due to a specific problem, then it can help to have your situation reviewed by a tax professional. Certain tax problems should only be reviewed by professionals. If you choose to file an electronic tax return, expect to file on your own with the assistance of online software. Various companies offer free online tax filing services to eligible individuals. For instance, United Way and H&R Block operate www.myfreetaxes.com. If your household earned less than $66,000 in 2018, then you may qualify for free tax-filing services on this website. The site claims that it also allows some filers to file electronic returns for state taxes. Many tax filing companies are partnered with the Free File Alliance, a nonprofit that consists of multiple tax software companies. You can access a list of those companies by visiting the Free File Alliance website. Requirements for using these services will vary. Our blog will post helpful information for filers throughout tax season. Follow our Facebook page for future blog updates. If you have questions about discharging tax debts in bankruptcy, call us at (816) 281-6349 or use our online case review form.